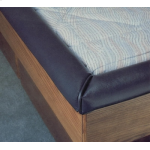 Waterbed Padded Rails for hardside waterbeds makes it easier to get in & out of a wood frame bed. Gives your waterbed a great look. The 3 piece standard Padded Cap Rails come in all solid color in vinyl material. For California king, queen & super single. Assembling you hard-side wood frame waterbed? This is the hardware pack with everything you need to assemble your wood frame waterbed. 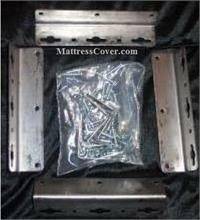 Includes the metal bracket screws & L brackets needed to install your Hollywood/ Old School Waterbed Frame. Fill and drain kit will help fill any water mattress and will also drain free flow and semi wave waterbed mattresses. 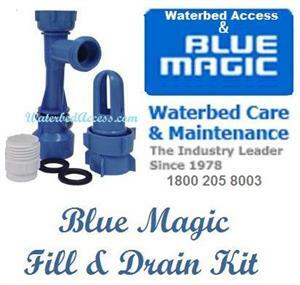 This fill and drain kit is made by Blue Magic and we have it in stock for fast service.